Blue Mountain Arts, 9781598425994, 96pp. Growing up has never been easy, but nearly everyone would agree: these days it's harder than ever. This book is an exceptional guide to help teens get safely through the journey. 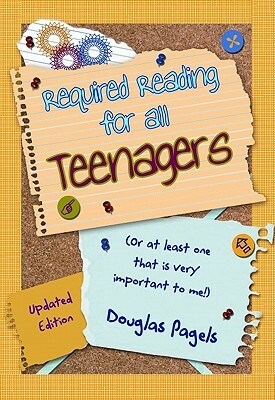 Much-loved for its mix of heartfelt thoughts and positive messages, Required Reading for All Teenagers combines the words of Douglas Pagels (over 3 million books sold) with the writings of famous, insightful people from the realms of sports and entertainment. Now in an expanded, redesigned version, it is a better-than-ever source that caring and concerned parents who want to share some solid advice on how to both survive and thrive in the teenage years can rely on. With new illustrations to complement the perfectly chosen words, this is a treasure every parent will want to share with their teen.